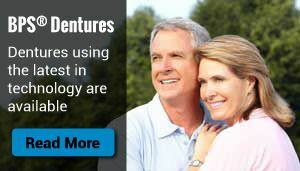 Rite Bite Denture & Implant Clinic offers a personalized approach to denture services that will put you at ease. We’ve proudly served clients since 1980. Our denturist and experienced staff understand that you have questions and we are here to answer them for you. Whether you require partial or complete dentures in Mississauga, Oakville or throughout the GTA, Rite Bite Denture & Implant Clinic is known for creating custom solutions to ensure your comfort and satisfaction. Better bite and chewing – No longer be restricted to only certain kinds of food. Dentures open up your options to more variety. Improvement of your speech – Filling in the gaps left by missing teeth will help reduce speech problems and lisps. Fuller appearance – When you’re missing teeth, your cheeks have a tendency to sag. Dentures can give your face a fuller look. Protection for your remaining teeth – When you’re missing teeth, the ones left behind can sustain excess wear. They may even shift out of place into the gaps left behind by extracted teeth. With dentures, you are able to protect the teeth you have left. Boost confidence – If you’re missing teeth, you’re less likely to show off your smile. By having dentures, you will be able to restore your smile to one you will feel proud to share. When it comes to creating your complete dentures in Mississauga or Oakville, the first step is taking proper impressions of your jaw and recording measurements. A model will be made from this impression in which you will try it on in order for the denturist to assess the colour, shape, and fit of the final denture to cast. Once the final denture is cast, last minute adjustments will be made and you will then be on your way. Once you have dentures it’s important to provide them with proper care and store them safely when not in use. Like natural teeth, dentures should be cleaned every day. Both plaque and tartar can build up on dentures which can cause stains, bad breath, and gum problems. If you have any remaining natural teeth, the plaque can even spread to them which in turn could cause cavities. In order to clean your dentures simply remove them and run them under water to rinse off any food. Use a toothbrush with soft bristles to gently clean your dentures and apply a denture cleaner. Mild hand soap may be used to clean them as well. Do not use household cleaners or regular toothpaste as they are too abrasive and can damage your dentures. Take out your dentures at night and place them in a glass of warm water. A denture cleanser can be added to the water. It’s important to keep your dentures in water while not wearing them or else they can dry out and warp. Whether you need dental implants, complete dentures, partial dentures, anti-snoring devices or relines, we can help. We even offer teeth whitening to give you that distinctive, beautiful smile. Rite Bite Denture & Implant Clinic is pleased to work with all insurance and offers free, no-obligation consultations. Book your appointment today!